Installs fine, doesnt show errors then, but when executed shows above error.. This has to be a simple Puppy related thing.. I have up to date glibc, for the others, and that is the only thing I recognize in the error..
You may be able to find cinepaint there. So I tried to redo it with the .rpms from Fedora for i386..
Maybe you'll have better success adapting a Slackware package? and it is locked out from Gslapt..(for good reason)..
Glibc is tightly integrated into Puppy, and messing with it.....well.. The best part of Slackware packaging convention is the slackbuilds - Bash scripts for rebuilding the package from sources. In http://repository.slacky.eu/slackware-12.2/graphic/cinepaint/0.22.1/src/ you have everything needed for rebuilding the package from sources (including sources themselves) on any more-or-less compatible system. Alternately, you can try the binary package built for Slackware 11.0 - http://repository.slacky.eu/slackware-11.0/graphic/cinepaint/0.22-1/ Glibc is designed to be backwards compatible, so it's no problem if you have a newer one than the one the package had been built for. first I hate ROX! 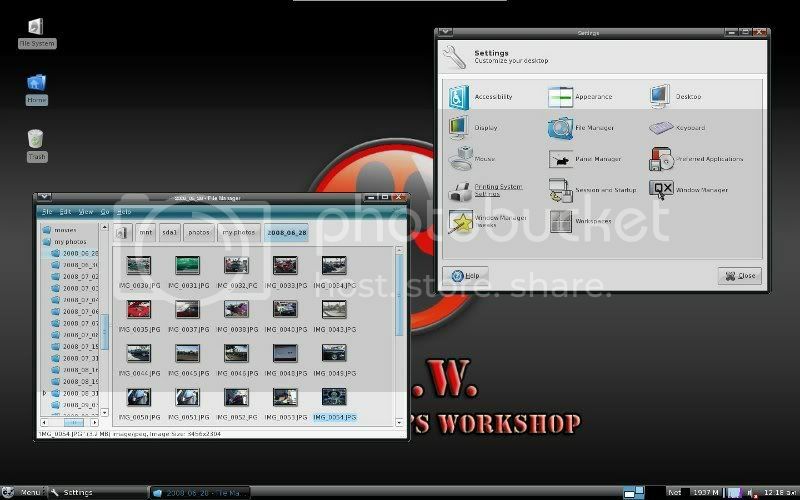 for working with photos it is really nice to have a pane in the filer that allows you to quickly go from folder to folder without going up and down through all the intervening folders, something like Thunar or PCman. next gripe is that Rox isn't showing image file preview icons, probably should be enabled and set to default. clicking an image file from ROX opens the image in mpaint rather than an image viewer. none of the image viewers let you go directly to Gimp, or any other program for that matter. don't get me wrong, this is a great Puplet! Just needs a little tweaking to make it more photo nerd enabled. I'm currently using Ubuntu because it lets me move around much easier than Puppy. 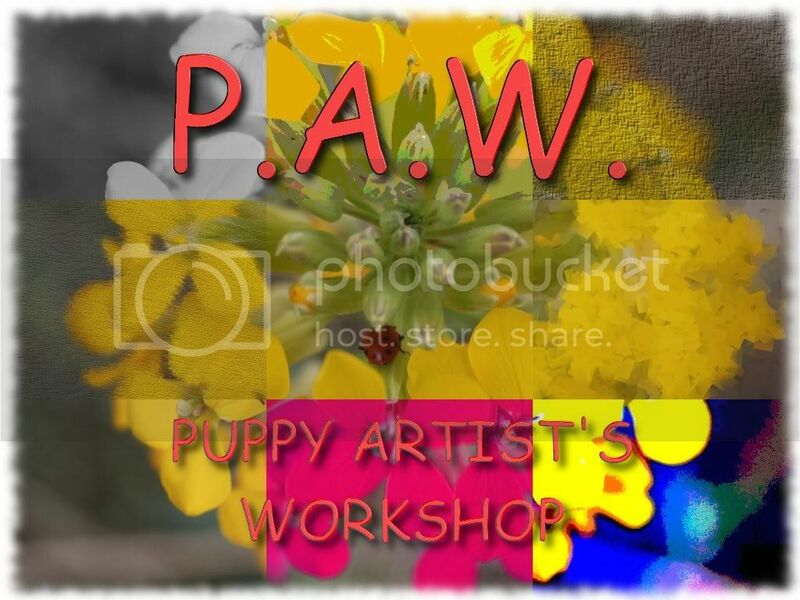 it's not about dumbing Puppy down, it's more about making an easy quick workflow. you should try out Ubuntu Studio, very intuitive and clean interface. not exactly small at 1.3 gig and no live cd but if you have a drive laying around you might play with it to get ideas on how to tune up the P.A.W. hope you're not insulted by this because I really think P.A.W. could be way better, smaller, and faster than Ubuntu Studio. I made another wallpaper for you, let me know if you like it. Now thats what I like to see, thorough testing!! 1. I thought I had set image previews as default in Rox, will correct..
2. I set Mtpaint as default image viewer because I use it so much..Personal habit..( Mtpaint is the "unsung hero" of image editors, and will do so much more than most people know..) What would be better, Fotoxx or Gpicview...?? 3. I will look at cross linking the Gimp from the Image viewers..I used Rox right clicks to provide multiple options to open files..
4. Sorry, I like Rox..I just open up 2 panes out of habit. 5. Jwm stays..East to configure, and I dont like Xfce...Too "Windows like" for me..
6. PAW is based on a barebones build, starting out at 50mb...Size was a consideration in everything, and I`m still "paring the fat" now..To base it on another Puplet would have made it much larger, and its too big now...For the final I`m going to remove Terragen / Wine and make an SFS of it instead..80mb for 1 program is just too much, and removing it will lower the minimum ram requirements to boot PAW..
Love the background, you`ll see it in the final.. Very odd...Still could not call it any other way without freezing Jwm up..
Maybe someone will figure it out and make a pet or sfs of it. Try it with a different GTK+ version. The error you posted was GTK+ complaining of getting NULL when expecting a widget - which means something failed to get created somewhere (to be able to say more, I need a stack trace - which cinepaint's SIGSEGV handler helpfully offers to produce). 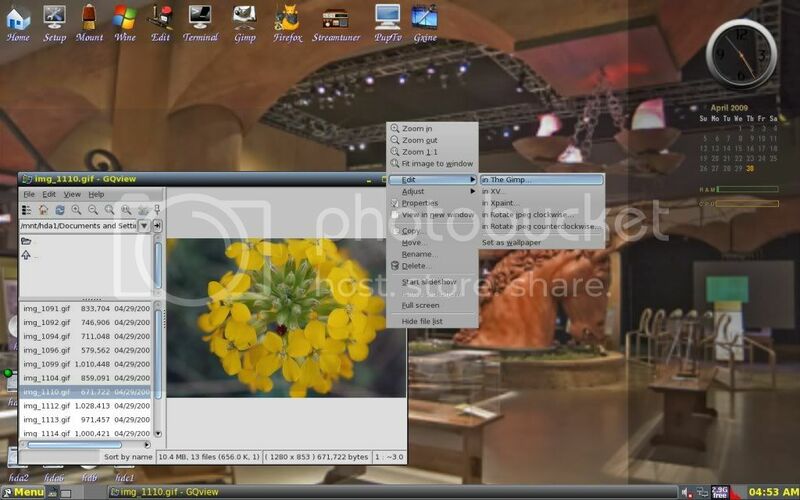 What would be better, Fotoxx or Gpicview...?? never liked Fotoxx and most of what it does is done better by Gimp or others. Gpicview works well but doesn't do much, actually I think I've found a compromise solution. in my time using Puppy I have gotten into a routine of installing the same list of programs and I don't know why I didn't do it the other day while I was playing, but one of my favorite programs to use is GQview. it lets you keep Rox and gives me, and anyone else who likes, paned browsing for photos. it also has right click context menus that can't be beat. in the right click context menu if you click "Properties" it will give you exif data and other stuff too. here is a screen cap of GQview installed in P.A.W. and no tweaking required. almost forgot, GQview hasn't been developed in a while so someone forked it and started going forward calling it geeqie, basically same program just major updates. please read the "new Features" section and see if it can't be incorporated, it's very cool. I'm playing with it in Ubuntu as we speak. Well, I forgot the menu icon..
First, Thank You for Geeqie! it works great! and I know you said you weren't a fan of Xfce, but I like it alot and just thought I'd show a screen shot of P.A.W. running Xfce4.6 very well. after all with Puppy, it's all about having it your way, kinda like the old Burger King ads. I tried PAW RC2 on my laptop, and the hard drive is not visible. Everything works fine using Puppy 4.20 however. Do you have plans to upgrade your great effort to 4.20? Have you made PET's for all the photographic packages that you installed on 4.1.2? If you have, maybe I can install everything on 4.20. I suppose things are not so simplistc! If I may ask, what are your machine specs???? Hows that XFCE desktop working for you??? As pretty as it looks??? ?